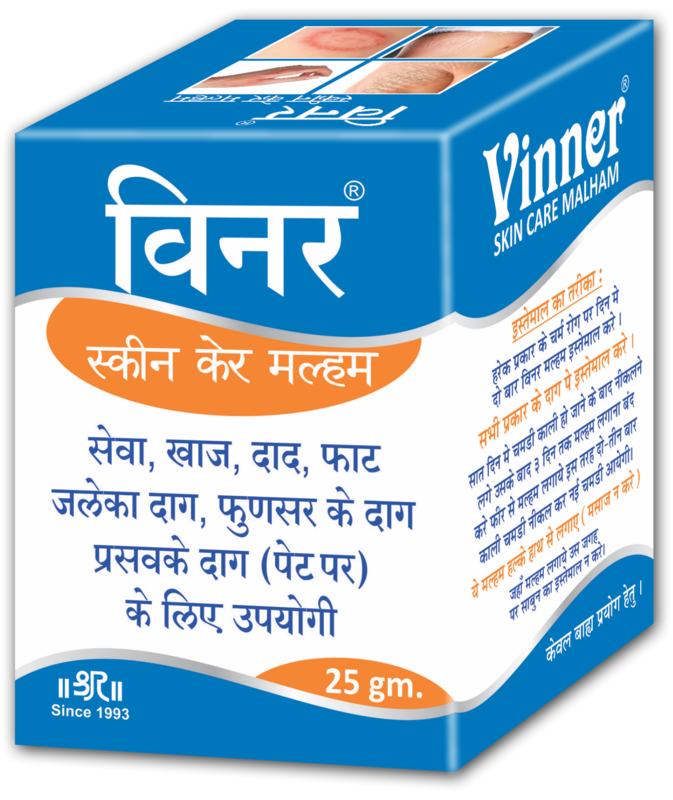 VINNER SKIN CARE MALHAM is a powerful ayurvedic ointment prepared from gandhak, tuttha and camphor. It is germicide, bacteriocidal, eschorotic, antiseptic, anesthetic & anti pruritic. ITCH SKIN PROTECTION CREAM is prepared from Karanj, Neem, Haldi, Sphatika, etc which provides fast relief from itching & inflammation of Skin. It is Very Effective in Jock Skin, Infection between toes & finger, waist, folds of inner thighs, underside of breasts & armpits.